Vintage Wooden Display Cabinet - Original House – Decorative Antiques, Vintage Industrial Furniture and Lighting, Cotswolds. 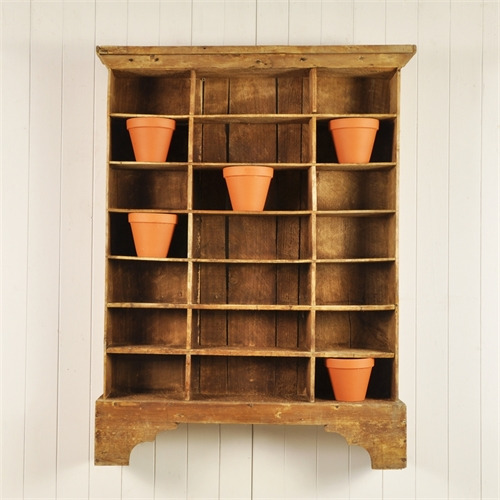 Sourced in the South of France this little pine display unit was used in a shop for selling spices and herbs. All very authentic with a few bumps and scrapes and a tiny amount of old re-treated woodworm. Structurally sound. This is a very useful size and can be used either free standing or wall mounted. 110 cm h x 83 w x 69 d.